Here is a map contains territory of Kazakhstan. detailed map of Zyryanovsk with gps calibration here. free map of Maleevsk this. detailed map of Zubovka free download. actual map of Turgusun free download. free map of Stolboukha with gps calibration for you. free map of Snegirevo calibrated here. interesting map of Putintsevo и OziExplorer calibration download for free. detailed map of Parygino calibrated download for free. interesting map of Lesnaya Pristan' this. topographic map of Kutikha with gps calibration for gps. detailed map of Kozlushka calibrated for you. map of Chapayevo free download. interesting map of Bogatyrevo 1 cm to 1 km for Garmin. map of Bobrovka calibrated for gps. 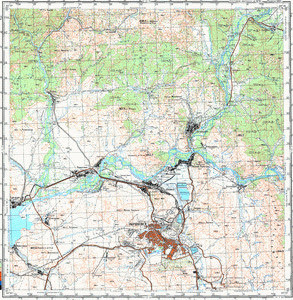 detailed map of Shumovsk calibrated free download. topographic map of Novokalinovsk presented. actual map of Ust'-Ignashikha with gps calibration download for free.